Get email updates about Lloyd Gilman delivered directly to your inbox. Edie,I'm so sorry for you and family's loss. I was saddened to hear of Lloyd's passing and hated that I missed the viewing and service. My condolences to Pat, Lloyd S., Mark, and all of the family. 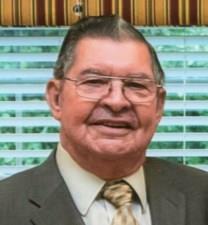 He was a kind and generous man who taught us much more than just cabinetry when we we were kids working for him. I just remodeled my kitchen and thought of him quite a bit during the process. I know he wii be missed by all who knew hiim. I am so sorry to hear about Lloyd passing. He was a kind and generous person. My boys enjoyed working with him at the cabinet shop. Sending condolences to the family. My condolences to the entire family - Very kind man. Sending prayers.